At San Diego Comic-Con on Thursday, Pixar made a big splash with a very small film. 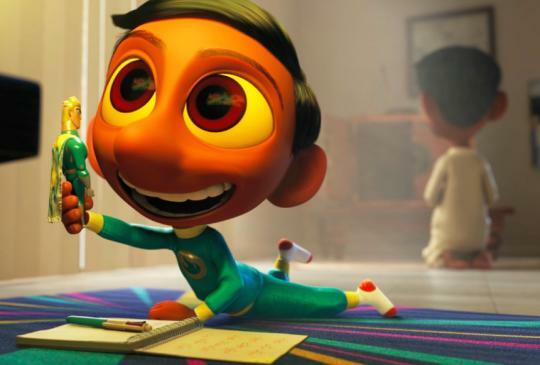 Sanjay Patel’s new short, Sanjay’s Super Team, transfixed the audience at its North American premiere with a story and visuals vastly unlike any Pixar project before. 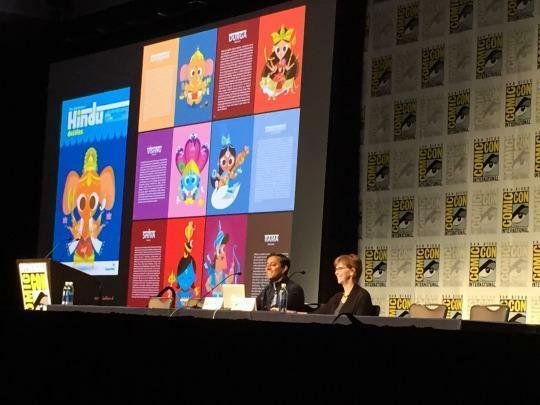 On the surface, Sanjay’s Super Team, which opens Nov. 25 in front of The Good Dinosaur, is a superhero movie. But more than that, the film is an intensely personal glimpse into the clash of culture and tradition that divides a father and son — and that ultimately brings them closer. 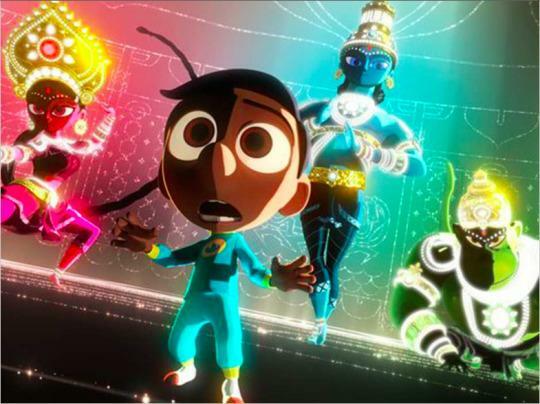 After a series of mishaps, the boy finds himself teaming with a trio of Hindu deities against a multi-headed villain, which ultimately leads to another Pixar tear-inducing ending.